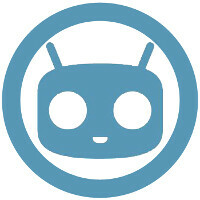 When it comes to custom Android ROMs, CyanogenMod is undoubtedly the most popular one, but it is not resting on its laurels. CM 11, which is CyanogenMod's take on Android 4.4 KitKat, has not only been updated to Android 4.4.4 KitKat recently, but it has also scored a handful of fresh and new features. These can be found in the most recent nightly builds of CM 11. The most notable new feature is the so-called "Heads Up" notification mode. It is nothing else than floating notifications – whenever you receive a new push notification, it will be displayed in a window on top of whatever you are doing on your device. You can not only see the notification, but expand it and interact with it. Don't worry, this floating notifications mode also comes with a handy "Do Not Disturb" feature, which allows you to select what apps it shouldn't interrupt. Interestingly, the developer claims that the code for said functionality has been "buried" into the source code of Google's mobile OS for quite some time. Does this mean that future iterations of Android might officially come with similar functionality? Another new trait of CM 11 is the Google Now integration within the user interface. The default CyanogenMod launcher, Trebuchet, now takes you to Google Now whenever you swipe to its leftmost position. Neat, right? Protected apps is yet another new CyanogenMod feature. It is, in fact, a brand new functionality of the previously-existing Hidden Apps feature, which allows you to hide apps on the system level and protect them with a custom Pattern Lock. This renders them invisible from all launchers and prevents unauthorized users from uninstalling them or clearing their data. You can still access the hidden ones via the Recent section in your multitasking menu. Another change that most CM 11 users might have noticed is the overhauled Settings menu. For example, the Interface section has been split into several categories – Status Bar, Notification Drawer, and Gestures. According to Cyanogen, the changes within it should allow users to get to their "favorite CM features more easily". It's been updated to android 4.4.4 as of june 19. This is actually pretty sweet! Aaand still N9000 can't get a cyanogenmod. GJ and ty for much disappointing guys. Yes but it is in nightly stage and extremely buggy. Did you really asked it? Blame that crappy exynos and samsung for that, not CM....SMH. Samsung doesnt provide exynos source code, which is required to build a AOSP ROM. Also sweared samsung many times for not giving source code for Exynos device. Really tired of these "security" s**t. Android was born to be free not locked in a damn crappy software and it must be free! Used CM many of my prev. phones and havent got any problem with Nightly builds. And surely its my last samsung phone, will switch to a Nexus device or LG's G series. Wont flash it back until they make it stable enough, I'm back to stock now. If you really know a thing or two, cm nightlies arent that buggy to the point that its unusable. Im currently uaing the latest nightly for note 2. And works fine for me now. Integrated apps, integrated functions. Remember a few years ago when Android was all about choice, all about being vanilla? What's funny is Android is becoming more closed, and ios is opening up.